You've met the love of your life, you're engaged and now you're ready to start planning your big day... where to start?! Weddings are notoriously expensive, and there's so much to think about and plan that it can quickly start to overwhelm. Never fear, we're here to help you nab some wedding freebies! Everybody loves a freebie, and receiving free wedding stuff for a day that is likely to eat into your hard earned savings are surely welcome. Grab a drink, sit back, relax, and read on to find out how you can make wedding planning more enjoyable, by picking up fabulous freebies in the process! Yes, you heard me right - whether you're expecting a proposal, or looking to propose to your other half, you definitely need to know the required size of the ring. Did you know, in the States 1 in 3 couples shop for rings together? There's a high chance your ring choice will be a joint effort, so why not make life even easier and order a FREE ring sizer? A fair few jewellery shops offer free ring sizers online as printables or a free plastic ring sizer that can be delivered to your door. All you need to do is click on one of the freebies here and enter your details to get your mitts on your free ring sizer. Choose from either Ernest Jones or H.Samuel. Once your loved one has accepted your proposal (Congratulations! ), you’re ready to start planning. Read on to take a look at some free planners to get you started. Planning is arguably the most tedious part of any wedding. It's the part where you have to balance schedules, dietary requirements, a budget and all the extras with military precision. It's also the time you have to reach into your pocket and wave goodbye to your hard earned money! During this expensive time, any freebies are very much welcome PLUS getting your hands on a guide that's already made for you can help you over that first hurdle of "where do I even start?" Wedding Ideas Magazine have created a whole host of fabulous guides to help you get planning for your big day! They've got a checklist for the Order of the Day - this could be ideal for getting your head around how the day's likely to play out and to figure out what's important to you. Plus, there's a whole Wedding Planner Guide, with four separate tabs dedicated to helping you break down the planning of your big day into bite-sized chunks. This'll make planning a doddle! These guides are all made for you in excel format and are waiting to be downloaded and filled with the details of the wedding of your dreams. If none of these checklists take your fancy, check out this highly functional and incredibly extensive wedding template. This fabulous ready-made guide is available in PDF or Excel format - the choice is yours. You can even customise the list yourself to make it totally relevant to your special day. Why not take planning a step further, and actually make money from your wedding? Guides for Brides are offering a brand new Booking Bonus scheme, whereby brides & grooms can find their perfect wedding suppliers and venues and earn fabulous rewards simply from booking with them! The best news is that this deal is not limited, meaning you can enjoy unlimited booking bonuses across a wide selection of venues and suppliers. You could enjoy FREE upgrades, gifts and sometimes even earn cashback on your booking - making you money off your wedding! Your wedding invites will set the tone for your big day, and will be your guests' first taste of what's to come. For this reason, you definitely want to take your time to pick the perfect design to suit your needs & the kind of wedding you're hoping have. 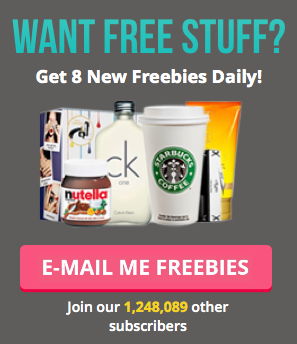 Loads of businesses offer free samples of their products, and you should definitely take full advantage of this! A design might look lovely online, but when it arrives you realise something crucial that you didn't think of - free samples give you the chance to hold and compare physical copies, helping you decide on not only the layout but also the finish of your invites. Before looking at free samples, why not consider sending your invites out 100% FREE of charge! Evite offer a fabulous service, helping you to customise and send out beautiful invites via email, shareable link or even by text. This option is certainly kinder to the environment, and so it's the perfect option for those of you striving towards a zero waste lifestyle for the planet. If you want a job done right, you've got to do it yourself! Check out these fabulous stationery and craft freebies that are sure to give you the supplies you need to spark inspiration for your bespoke design! You could snap up some FREE gel pens from Paperchase, with their £5 voucher gift. Plus, there's also a £5 voucher available when you join the Hobbycraft Club meaning you can choose from a wide array of FREE decorations & craft materials for your wedding. Add the finishing touch to your homemade invites, by slipping in some FREE confetti! If you're set on leaving the hard work to the professionals, I Do Designs offer a free sample service, giving you the chance to check out the shape and size of your chosen design, the quality of the finish and make sure the colours are on point! Papier also offer a fab service that allows you to choose from either their generic sample pack, personalised sample pack (for just £1) or their totally free unpersonalised samples of your choice. You've had the push and pull from your family and friends for where you should host your wedding, and you've finally settled on a place. No matter where you choose to have the most special day of your life, you are likely going to have to think about accommodation for loved ones travelling from further afield to watch you walk down the aisle. If you're new to Airbnb, refer your wedding guests to the site to get them booking for your big day and you will bag yourself a FREE £25 voucher! If you're already a devout Airbnb customer, never fear because you will still receive a £15 voucher for a successful referral. So what are you waiting for? Get referring, and get your guests booking so you can start making some serious savings off your wedding day - these vouchers would be perfect to put towards your honeymoon. Curating Hen Do goody bags and even wedding favours can either be a nightmare or a total dream, if you love to be creative! It can be tricky to know where to start as you want to make sure your Hens feel special, but it can be tricky to know what to get everyone on a tight budget. As you'll more than likely be planning your wedding for months, if not a whole year or longer, there's plenty of time to sign up for a whole array of freebies and wait for them to roll in through your letterbox! Luxury essential oils are a simple way to boost your gift bags with lots of little bits & bobs to add to the thoughtfulness of your thank you pressies. Claim some FREE Argan oil from Simply Argan! Join 7th Heaven's Angel VIP Club for the chance to nab FREE face masks before they've even reached the shops. Keep an eye on your inbox for these goodies. Be sure to subscribe to Scentopia's mailing list for their Freebie Flavours giveaways. Every Friday they give away dozens of free scented room sprays inspired by Alice in Wonderland. Speaking of Wonderland, if you're looking to do an (ever popular) Alice in Wonderland themed Hen Do, why not make delicious tea-based cocktails using free tea samples?! Our favourite watering hole for beauty freebies, has to be Debenhams Beauty Club! Here's just a few of the incredible freebies we've received from being members of this wonderful community! Sign up now to nab free beauty products - ideal for creating a personalised goody bag for each Hen at your pre-wedding party. (We won't tell if you choose to keep a few back for yourself). Why not make your life even easier, and simply favourite our free competitions page? We keep this updated with new content every week and we can find the best wedding competitions to save you the bother of hunting AND it will keep your inbox safe from being spammed out with subscription emails. It's a win-win! Have YOU got any wedding freebies or money-saving hacks? Let me know!